Some of Slug's best work. 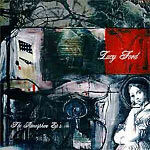 Compiles both the Ford EP's and the Lucy EP along with a couple new tracks exclusive to the CD. Includes the bonus track 'Homecoming' with El-P.
All production by ANT except: 9, 12 & 13 by Jel, 15 by Moodswing 9.